All ages and skill levels can benefit from aquatic exercise. Working out in the water is a great way to get and stay in shape while protecting joints. Build your strength, endurance, and flexibility through resistance exercises using our water weights, hydro-tone equipment, and other aquatic equipment. The JCC offers its swimmers access to both deep and shallow water workout opportunities, as well, as a range of aqua fitness classes including Aqua Aerobics, Aqua Arthritis, and Silver Splash. 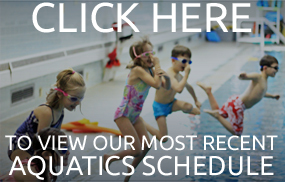 All of our aquatics class are taught by certifed instructors and are free for members. A certified instructor will guide the class through balance and gentle stretching poses in the water. Jump in and you’ll quickly see that it's LOVE AT FIRST SWIM. Interested in aquatic exercise at the J? Please contact Jodi Lovenwirth, Director of Aquatics, for more information at 610.435.3571 ext. 118 or [email protected].